Chris works late on Fridays, so I made breakfast for us before she had to get ready. We sat at our dining-room table, at eggs and drank coffee, and discussed plans for the weekend and beyond. We pretended we were on vacation and had no responsibilities we had to tend to. It was just one of those perfect mornings where all seems right in the world. Later on, I successfully negotiated a lower rate for my anti-virus software. I’m pretty much a badass. 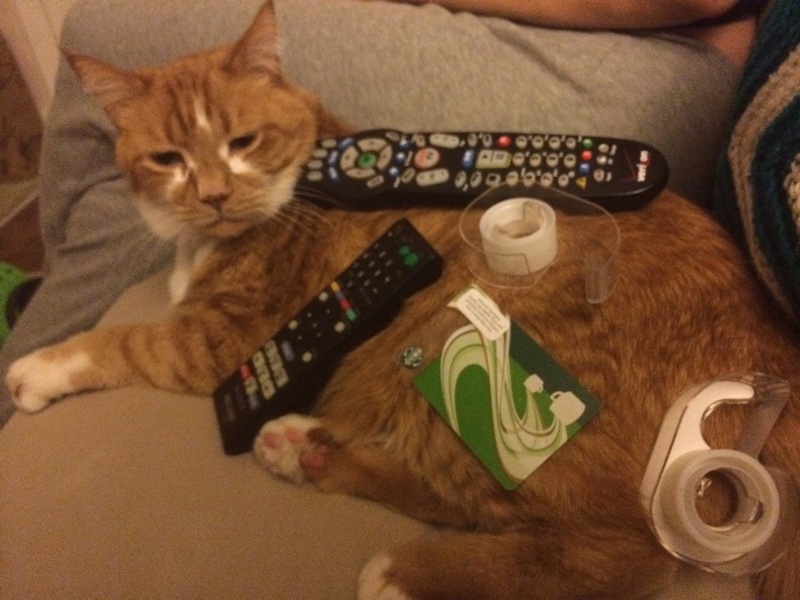 Here is a picture of Graham with a bunch of stuff on him. Because Friday. i have been pretending to be on vacation since last august! its awesome!